After a successful trial in Eastbourne we began to roll out the new displays across our region as timetables changed. The displays are generated automatically from the data we use to register the bus routes which means that they’re fully synchronised with our website and mobile app. 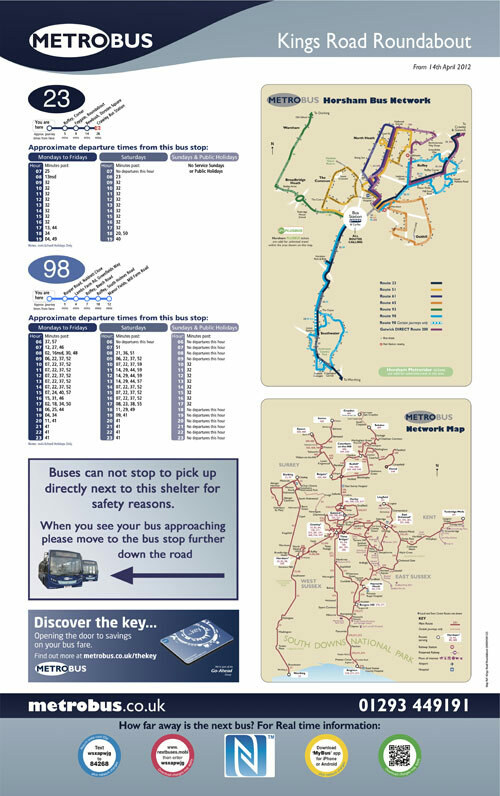 The new display panels are designed to be simple and easy to understand with linear route diagrams showing the main stops along each route and basic time, route and destination listings underneath. 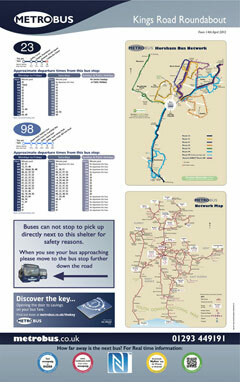 Our customers welcome the simplicity and continue to value having up-to-date timetable information at bus stops. At Pindar Creative we have automated the production of Bus Stop Panels enabling us to offer high-quality printed bus stop publicity at a cost-effective price. The design and compilation of a range of templates to fit your various panel sizes. 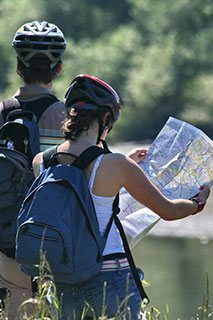 Templates can include standard header and footer information, space for route maps and fillers. Linear maps and stop specific timetables generated from TransXChange or ATCO CIF data. Flexibility to replace stop and destination names within the data (e.g. where dynamic destination is limited to 19 characters, these can be replaced with the full name). Stop specific or full timetables can also be supplied from various scheduling packages. Automatics can be inserted where required. Fillers can be added where required. Creation of vicinity maps centred on the bus stop showing onward travel. Generation of NFC & QR codes and traffic analysis. Printed using light-fast inks and waterproof/tear-resistant material.